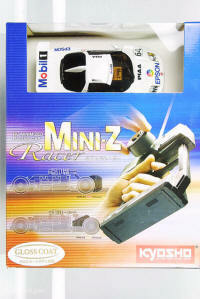 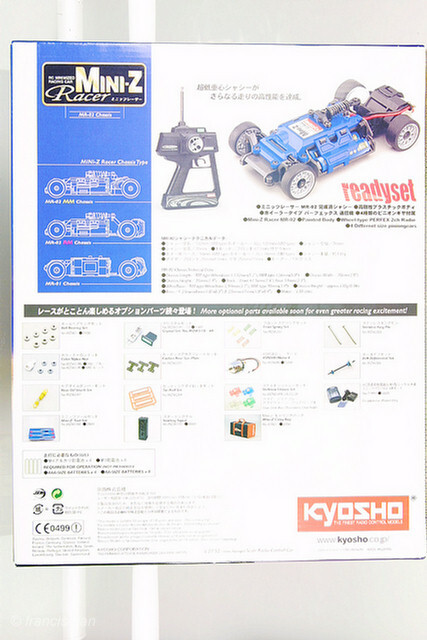 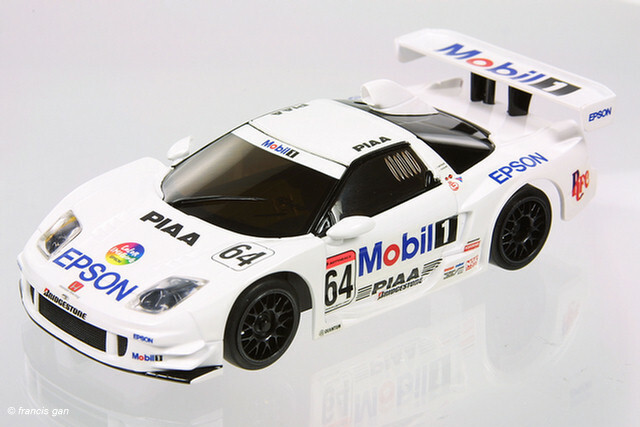 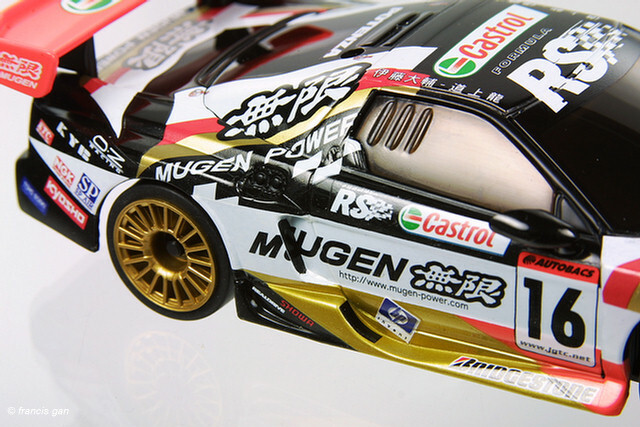 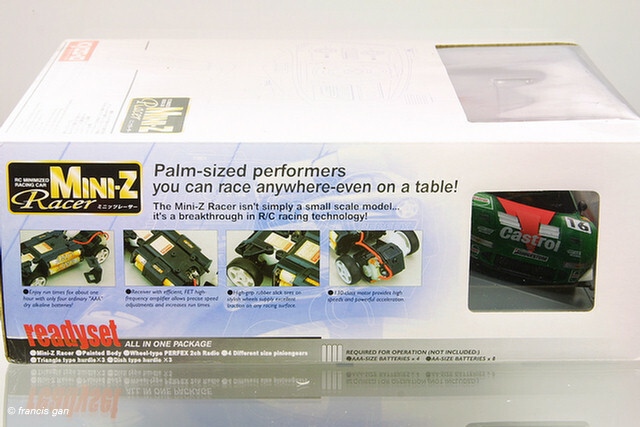 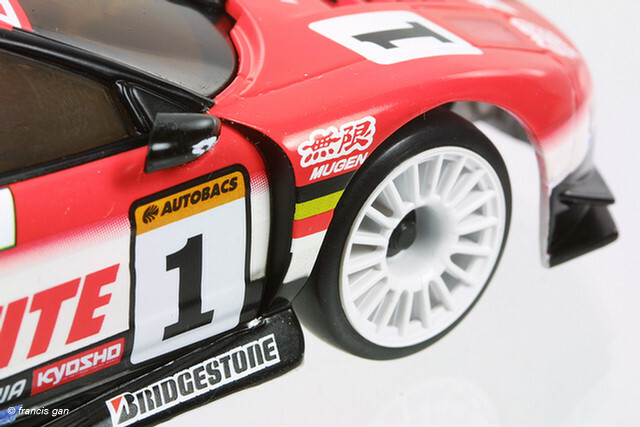 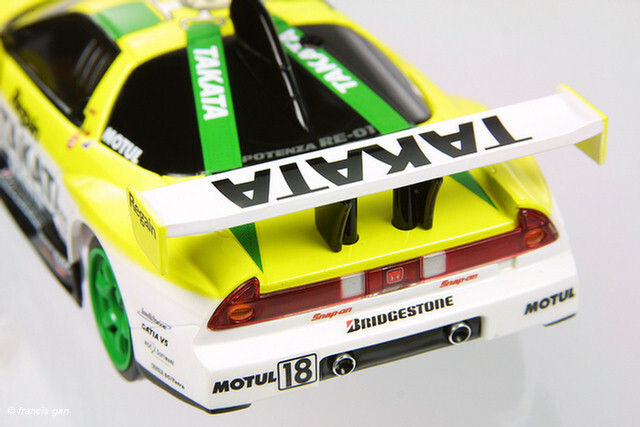 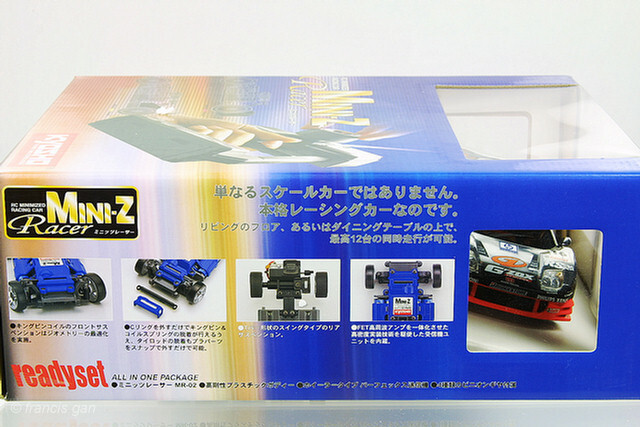 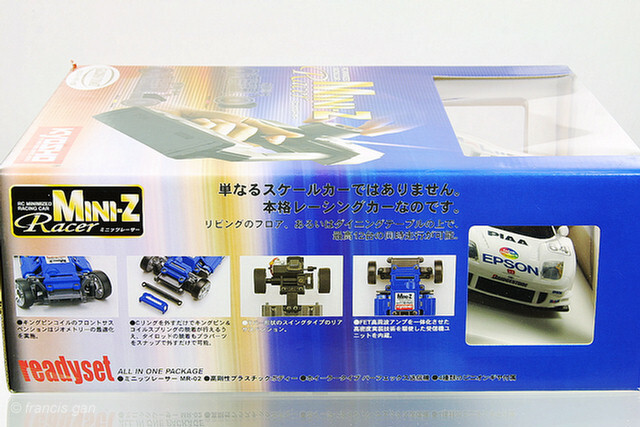 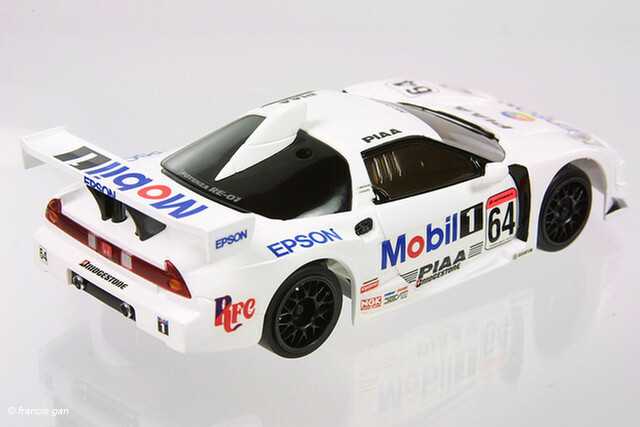 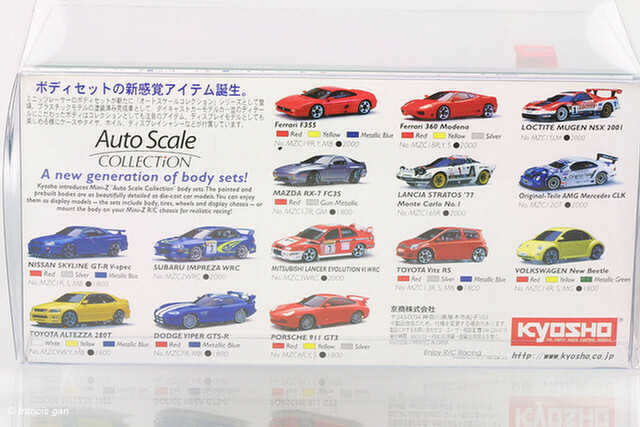 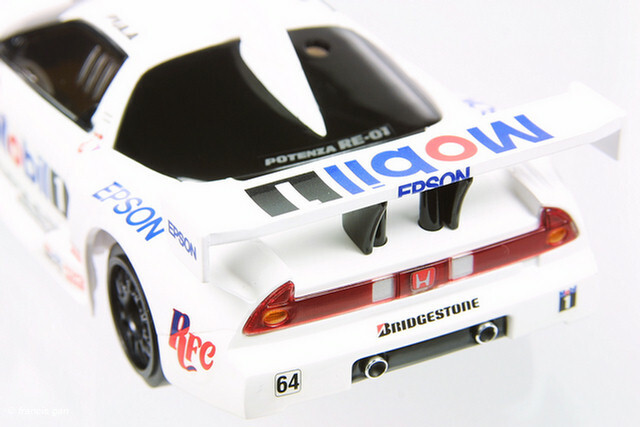 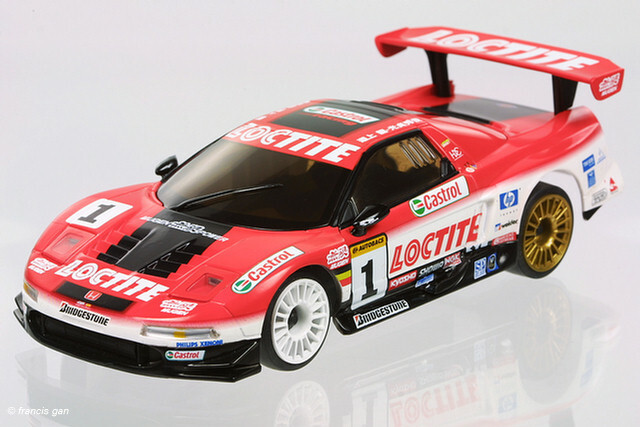 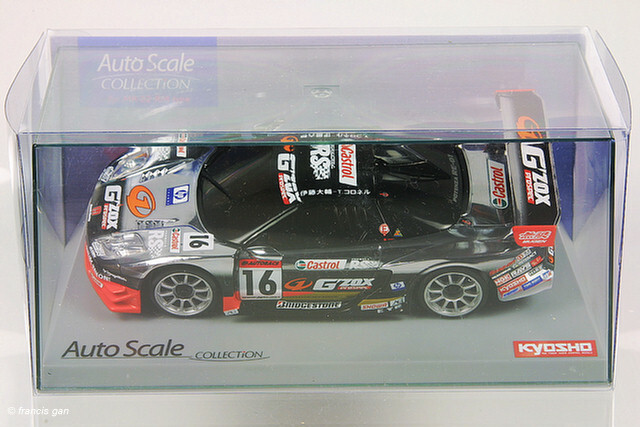 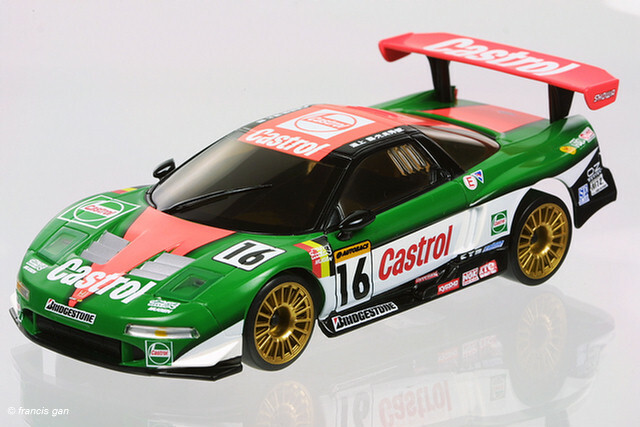 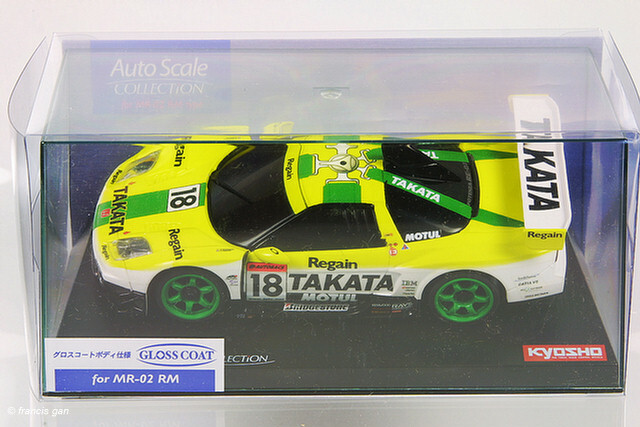 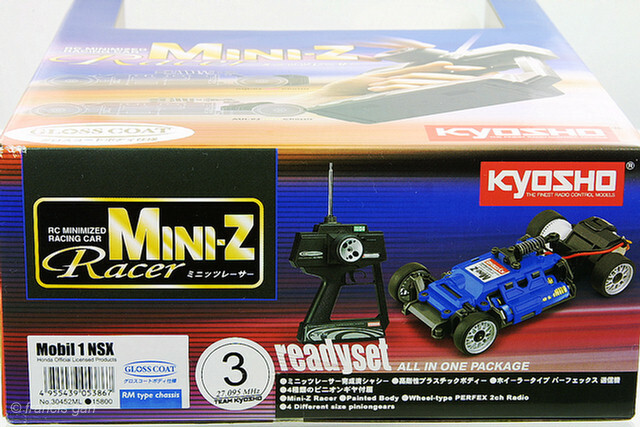 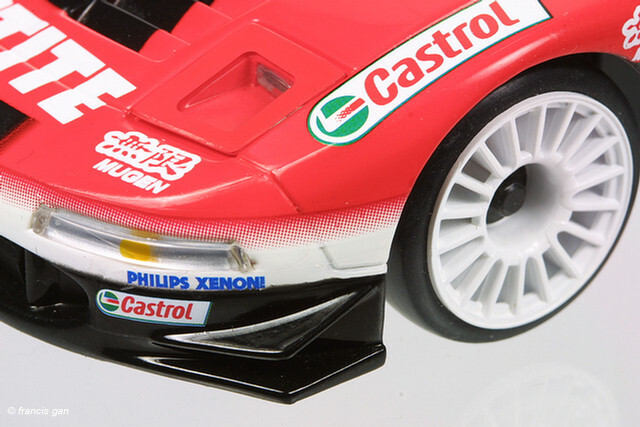 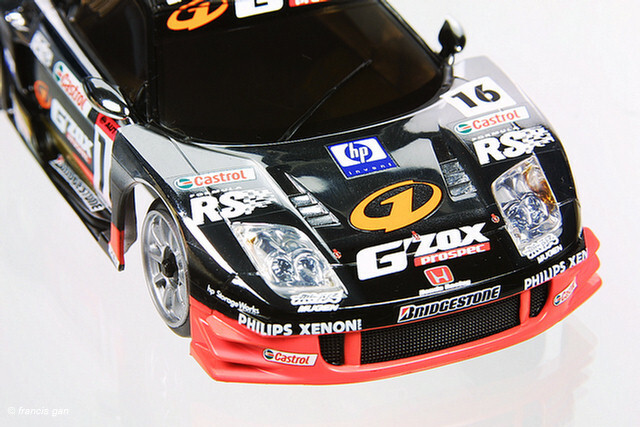 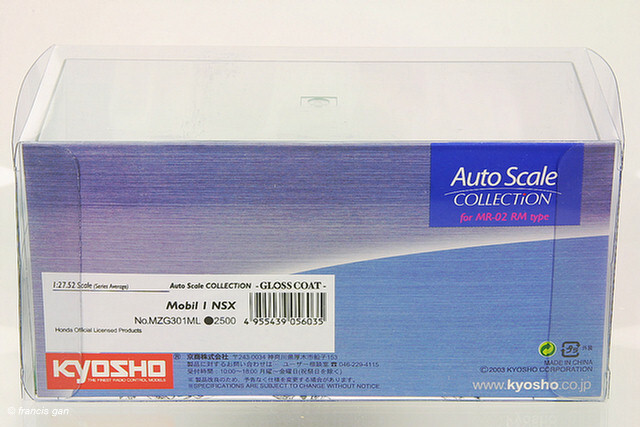 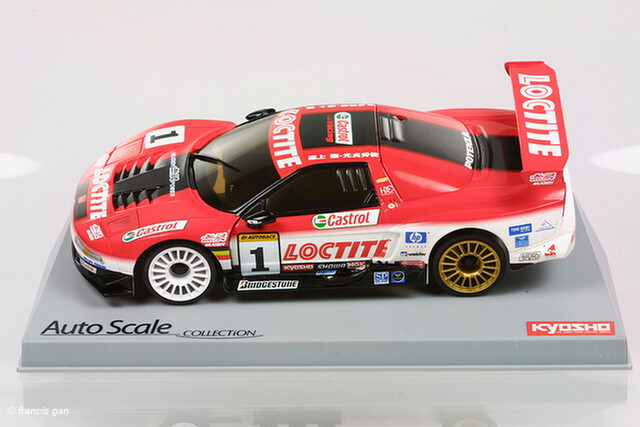 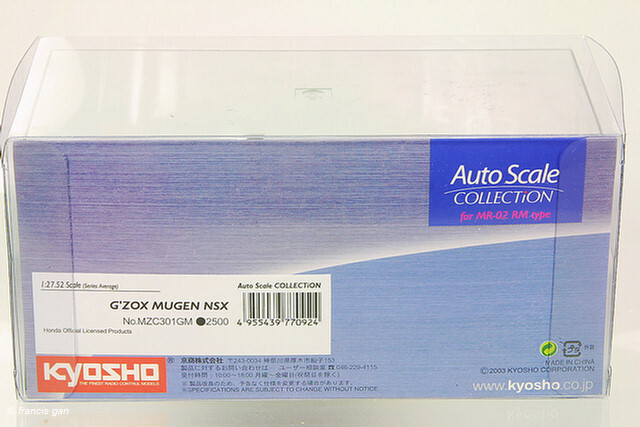 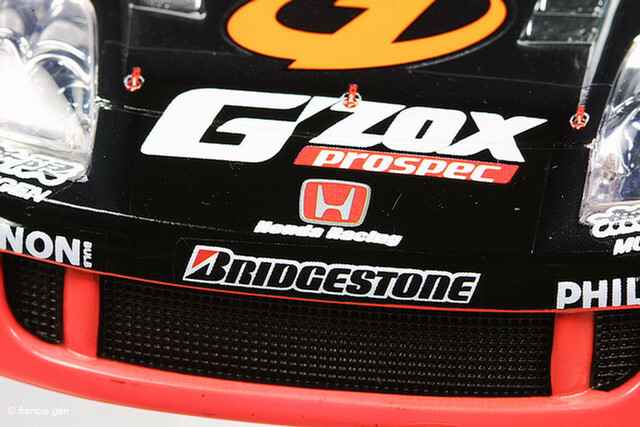 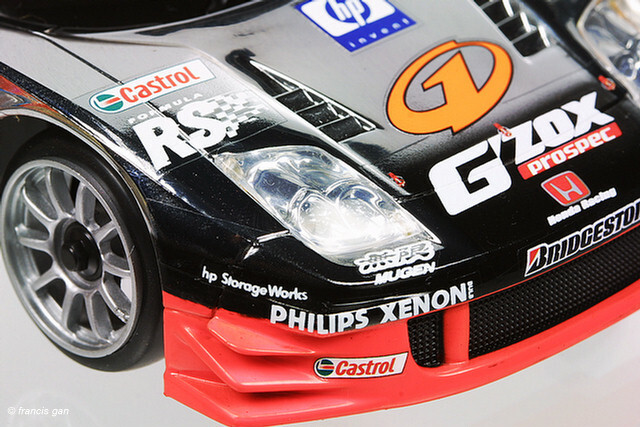 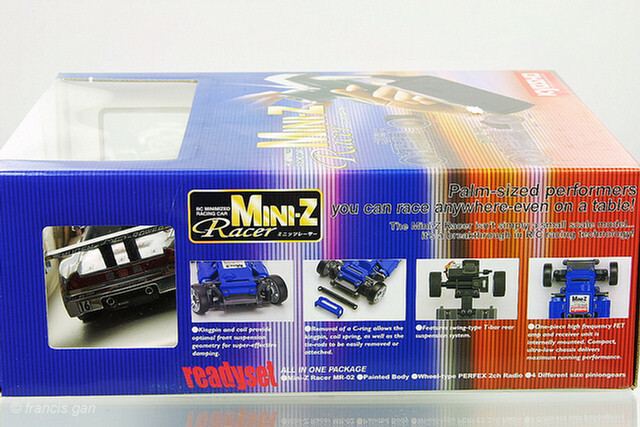 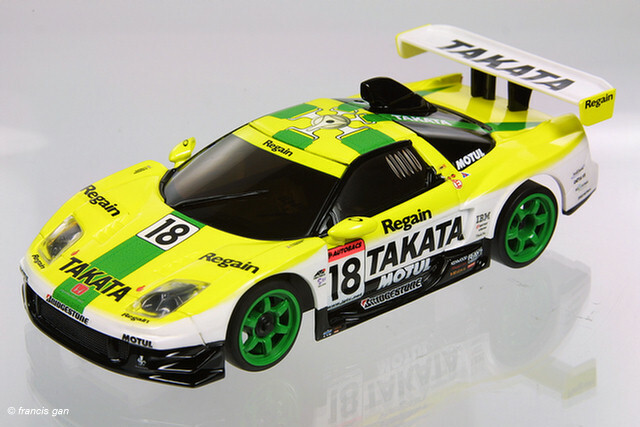 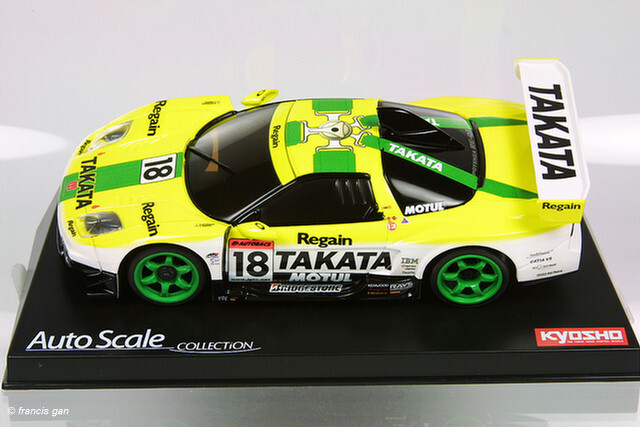 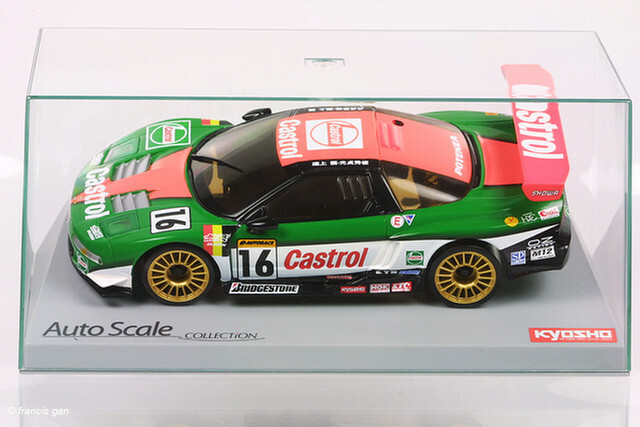 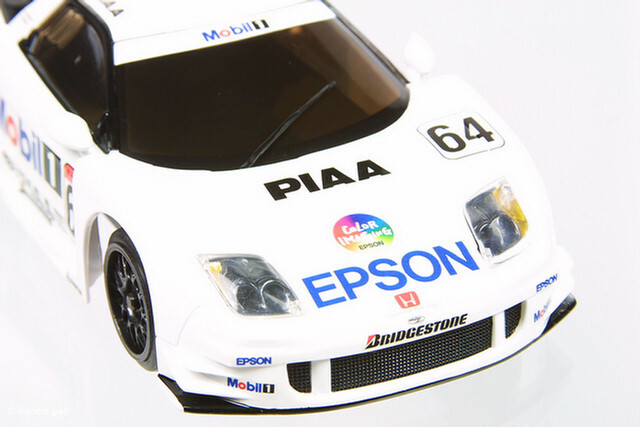 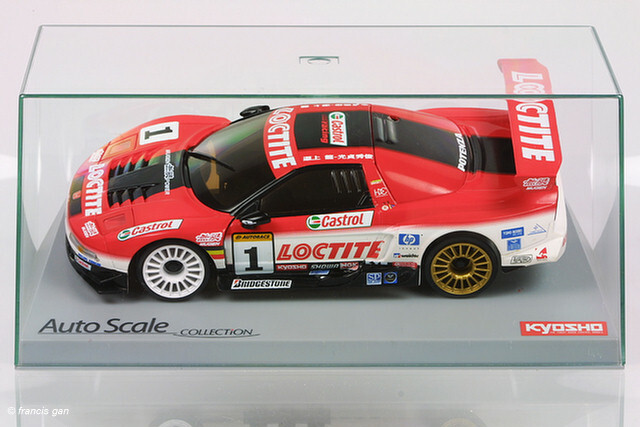 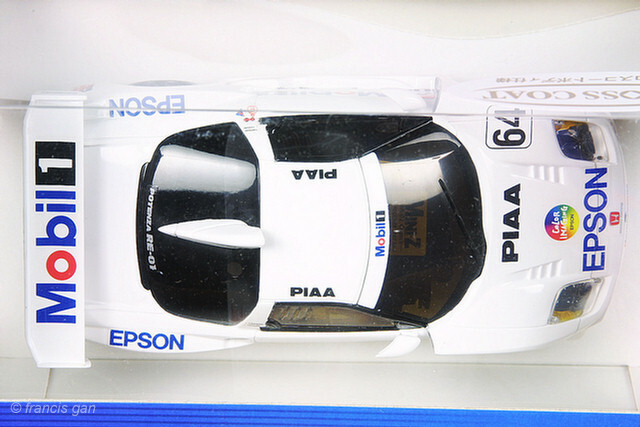 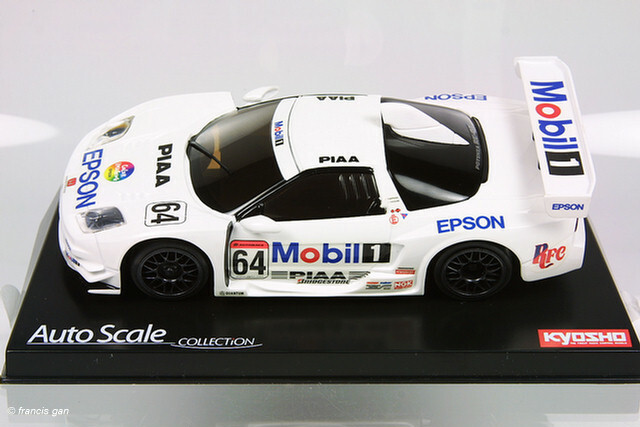 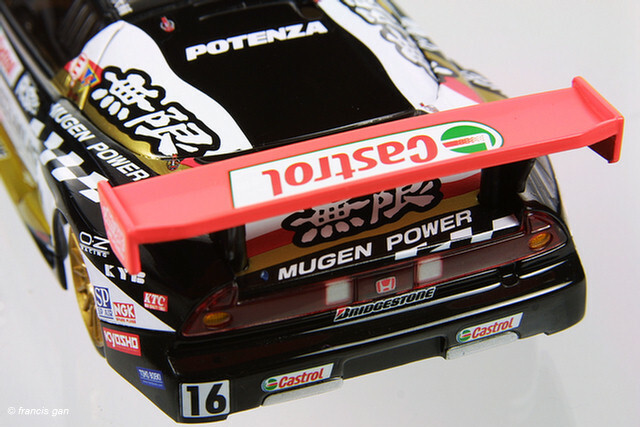 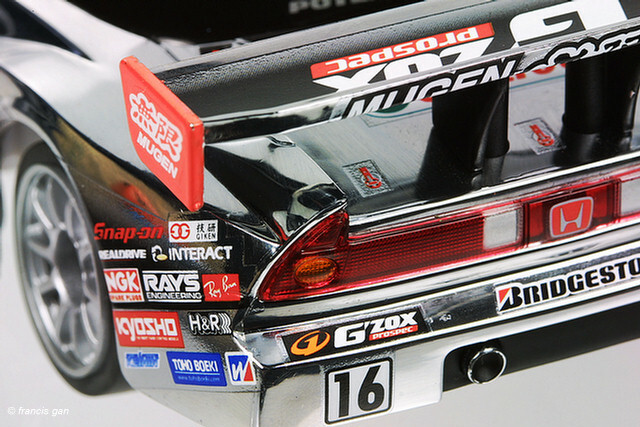 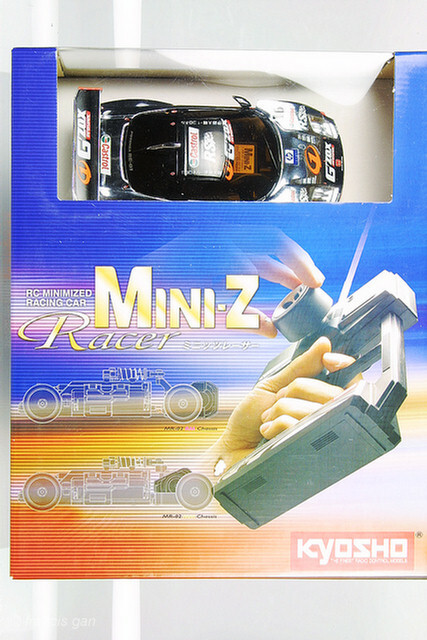 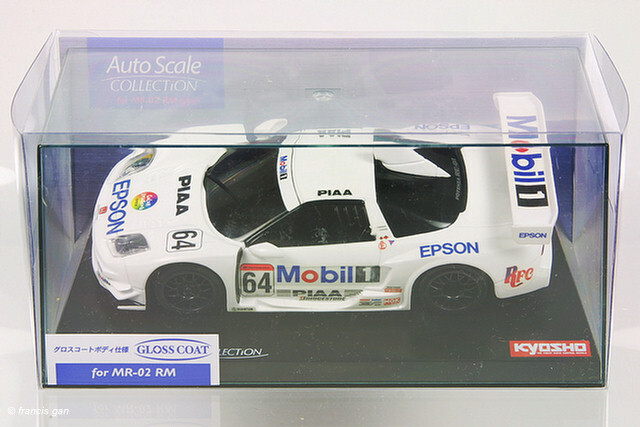 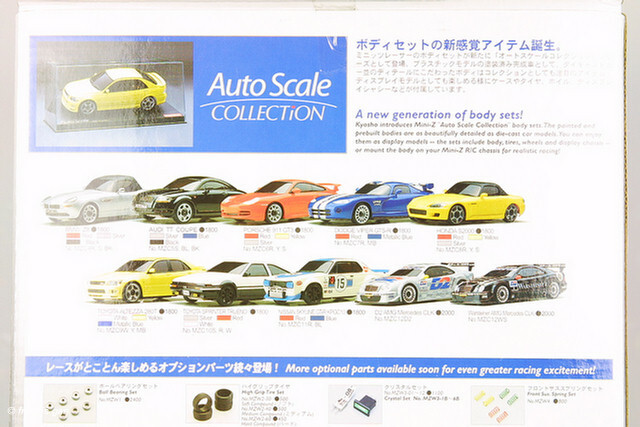 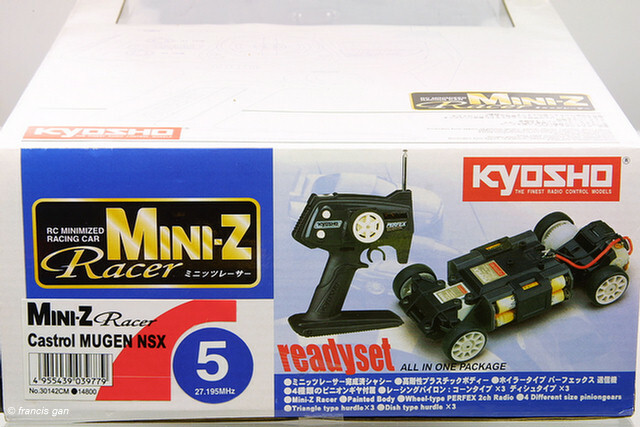 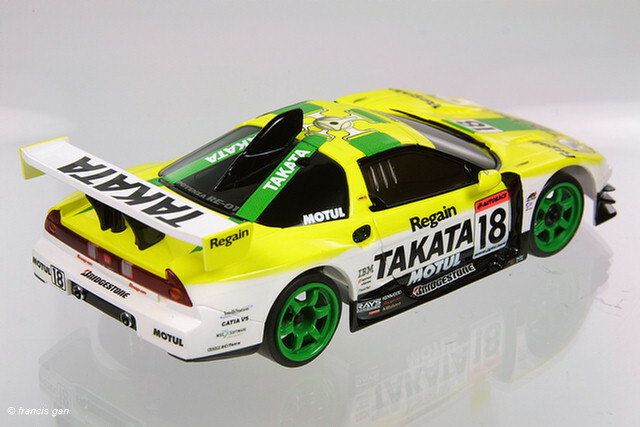 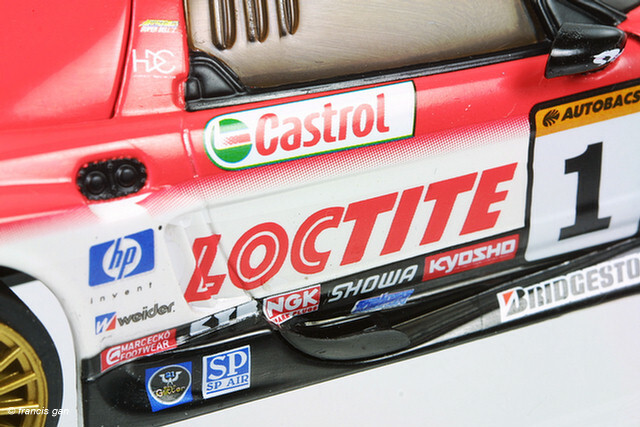 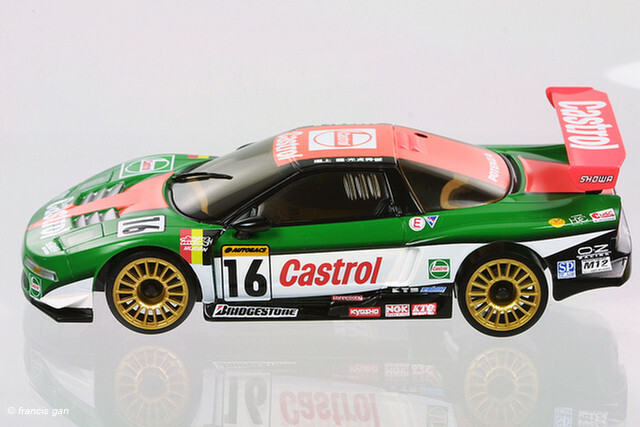 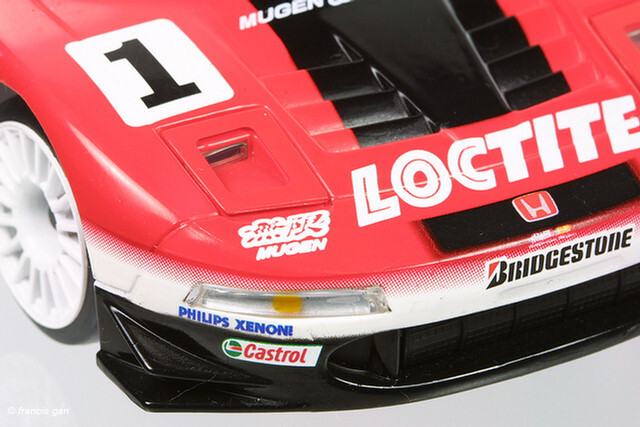 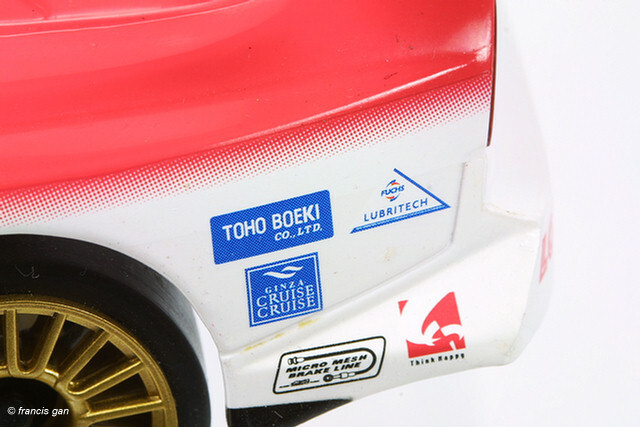 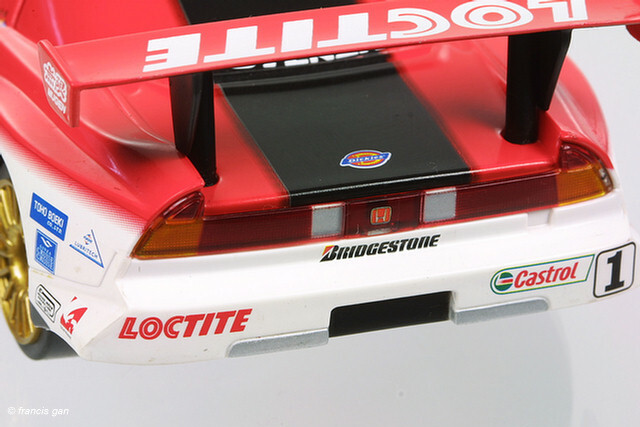 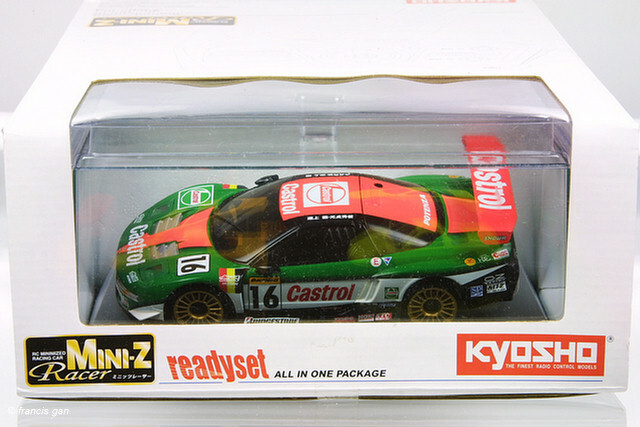 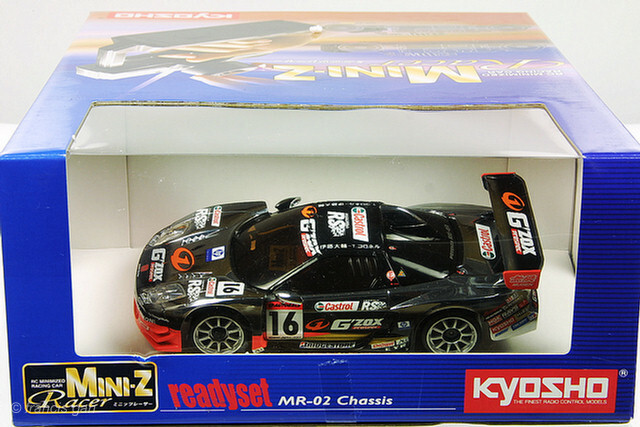 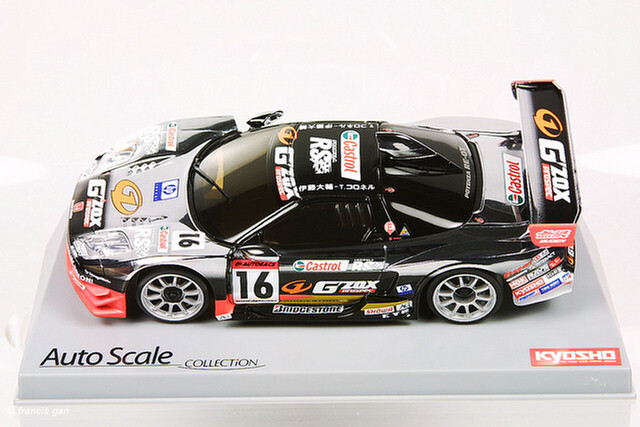 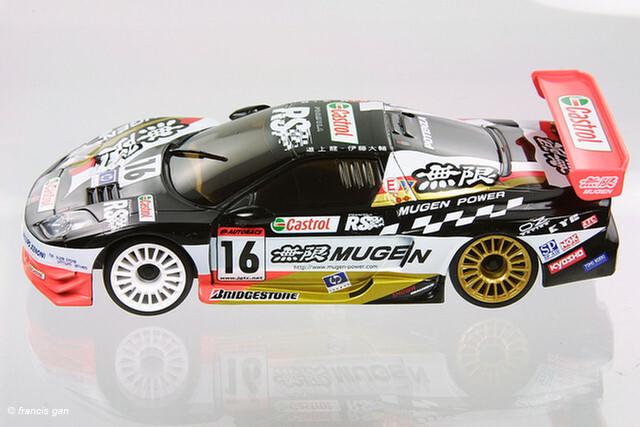 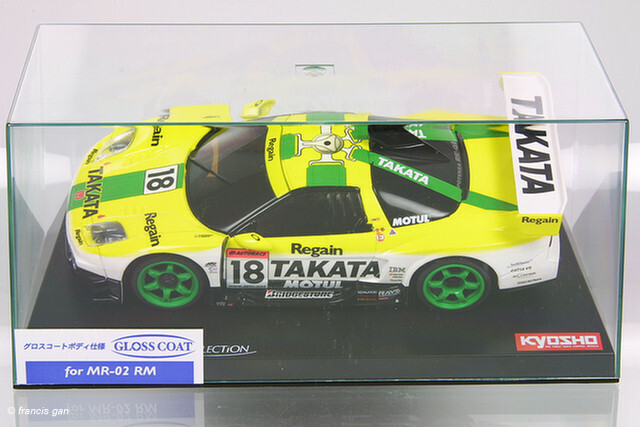 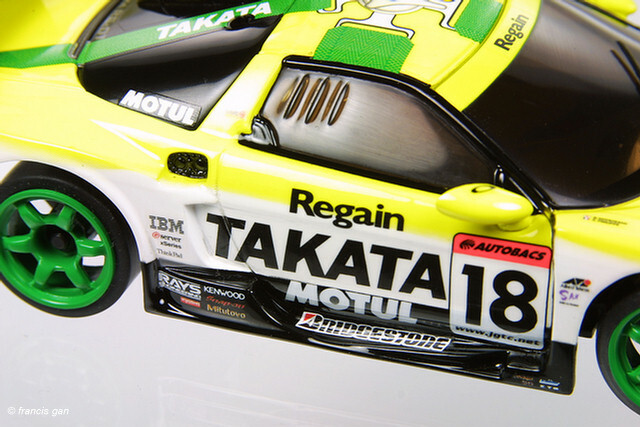 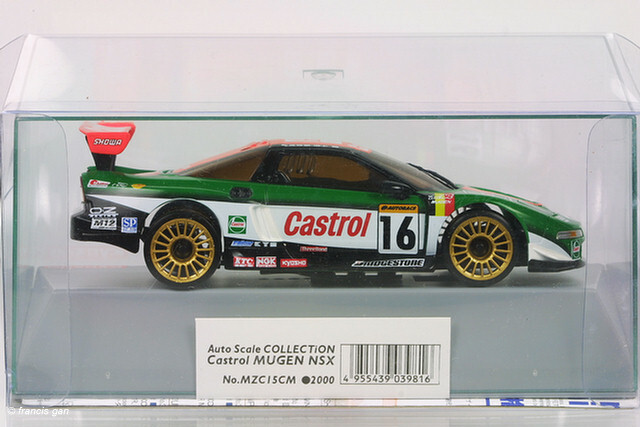 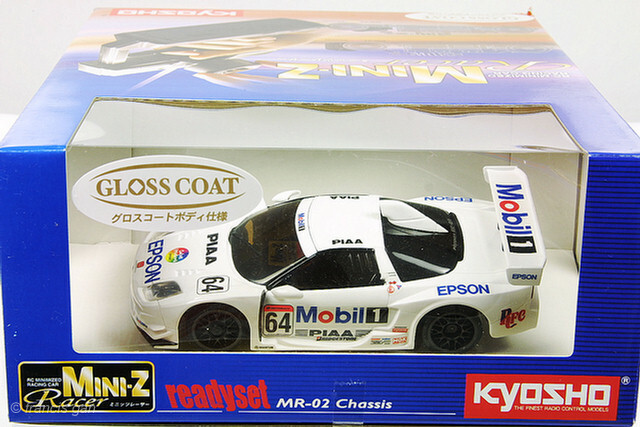 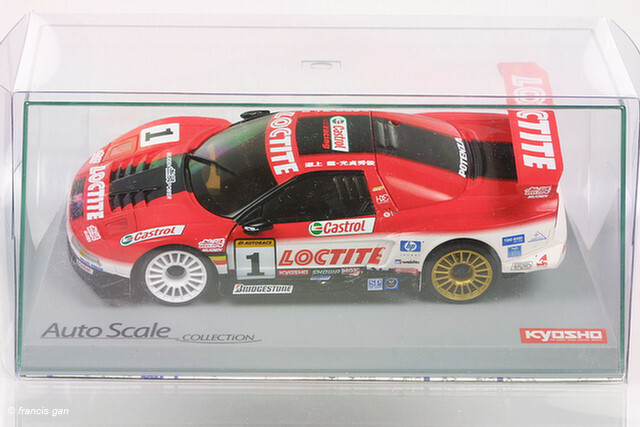 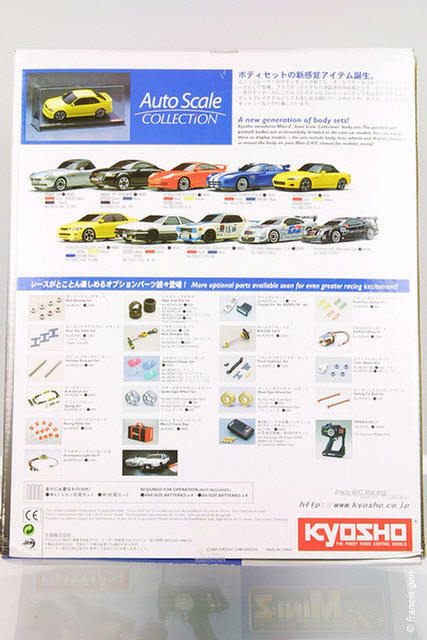 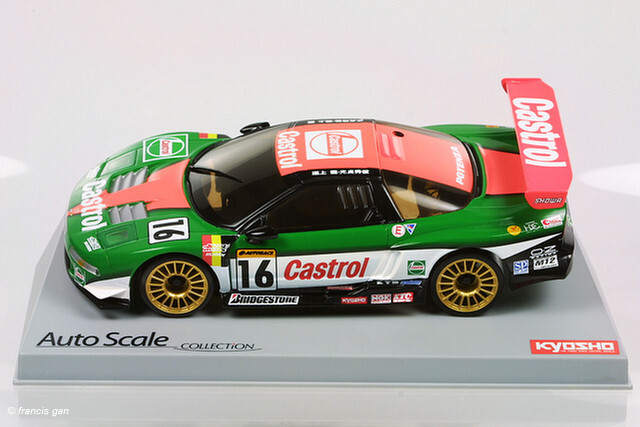 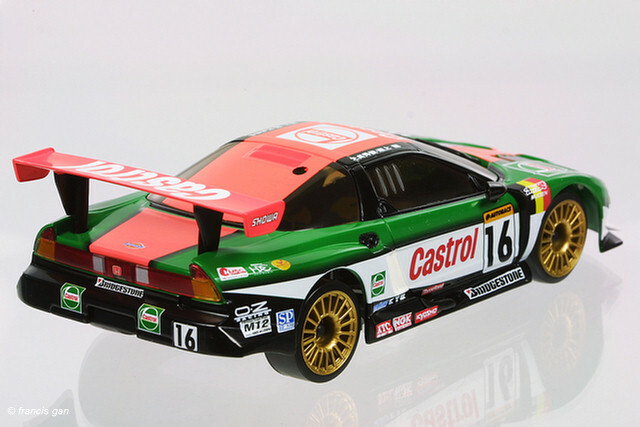 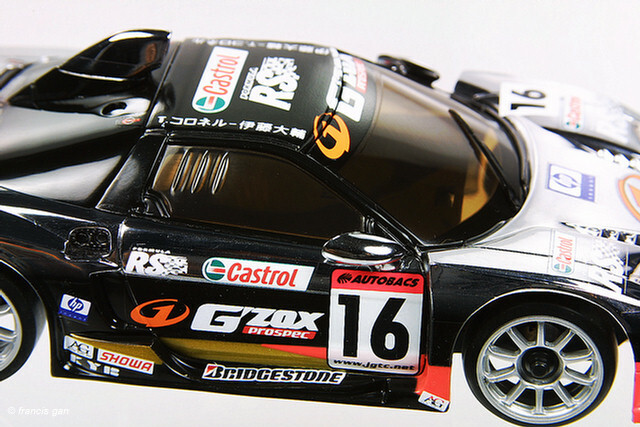 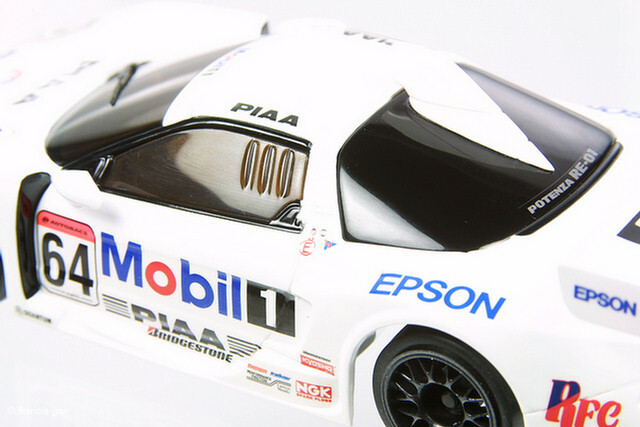 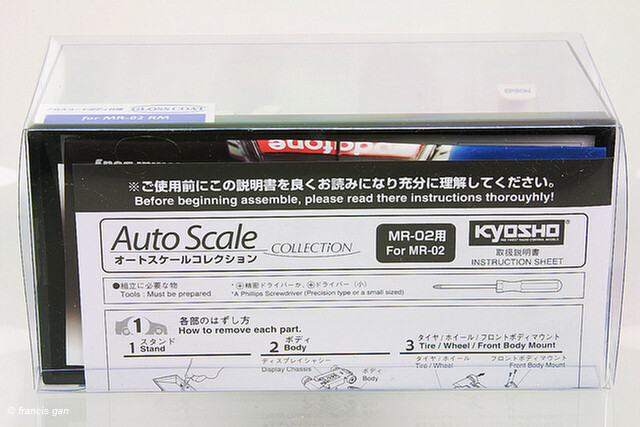 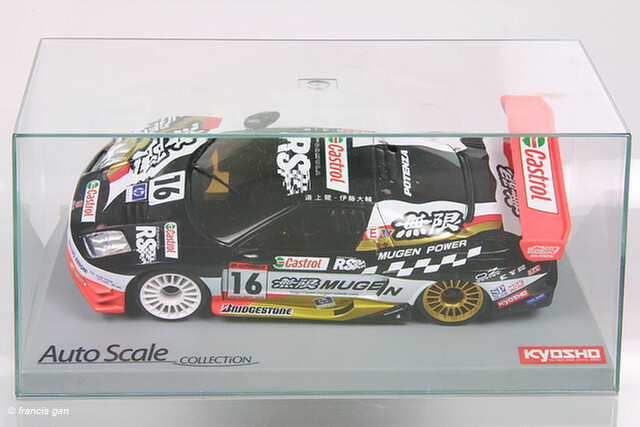 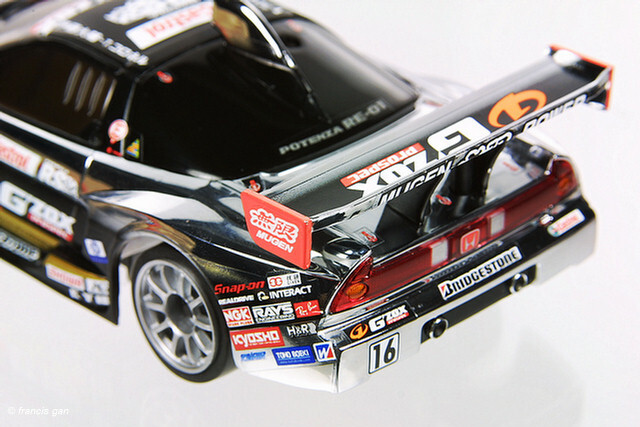 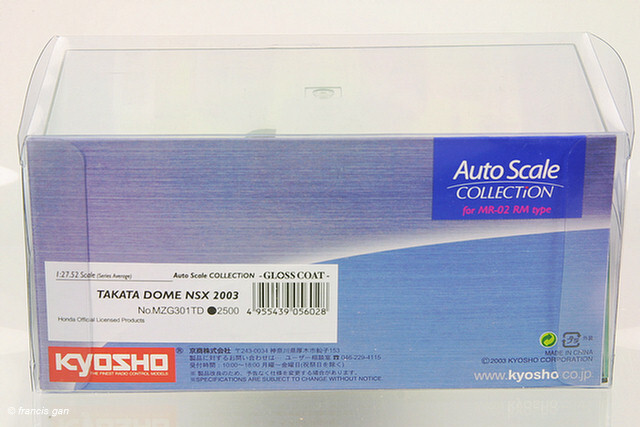 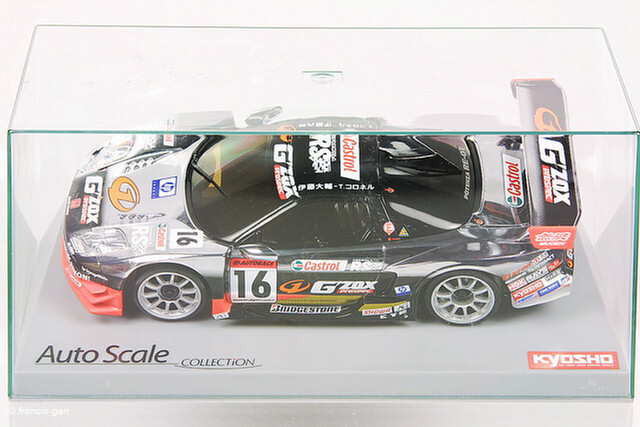 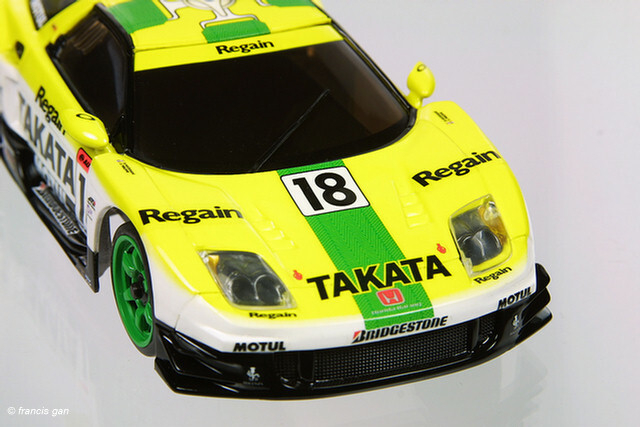 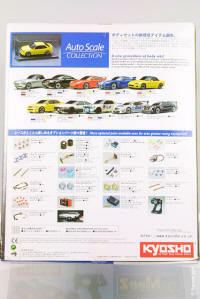 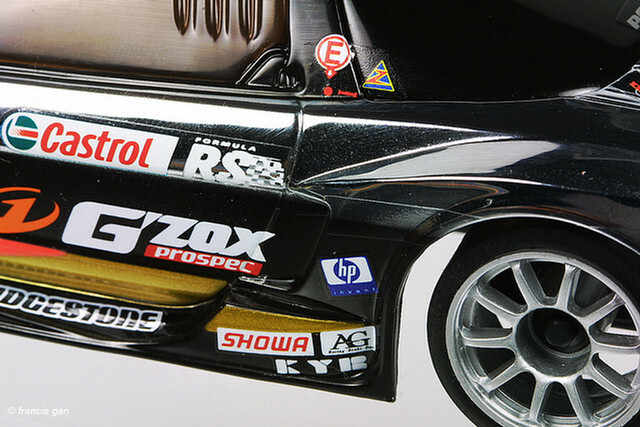 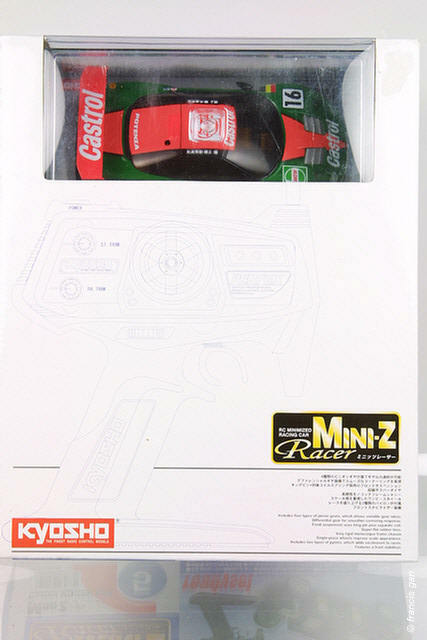 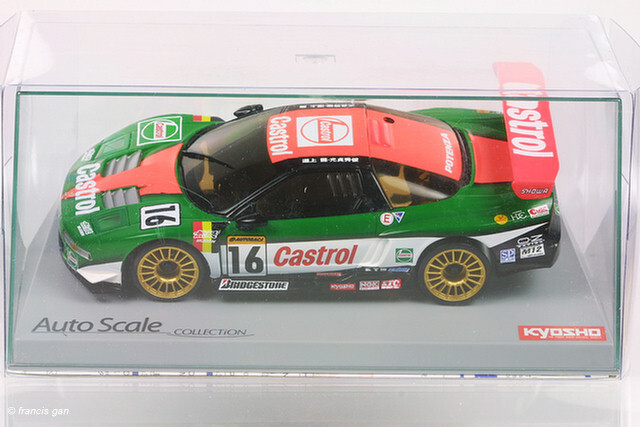 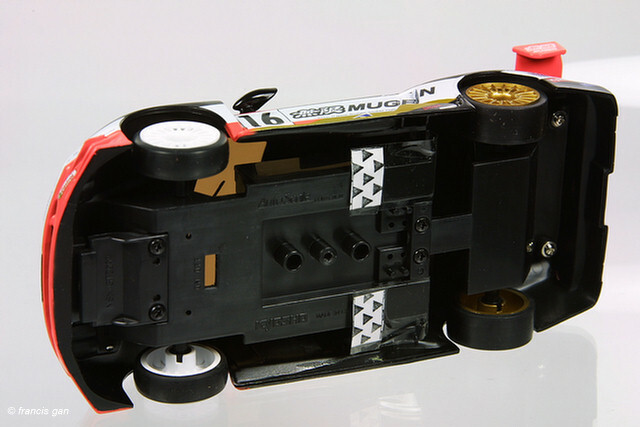 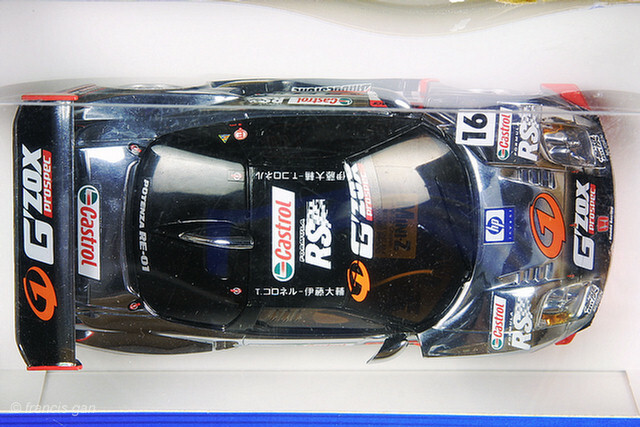 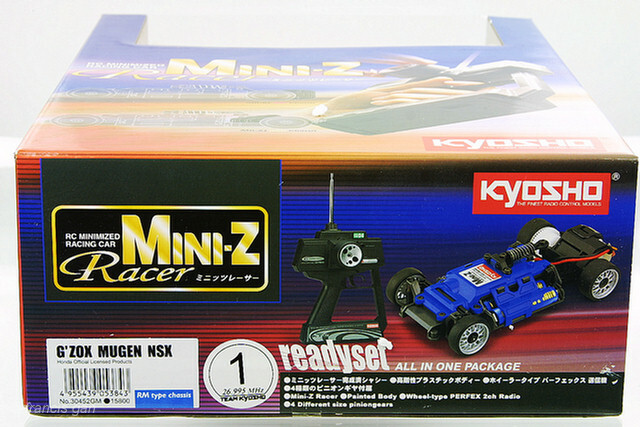 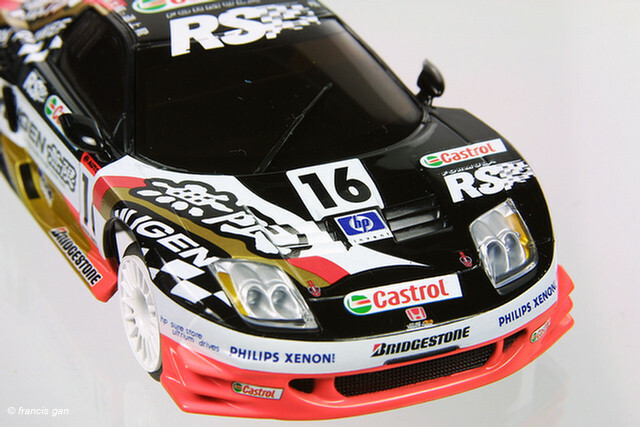 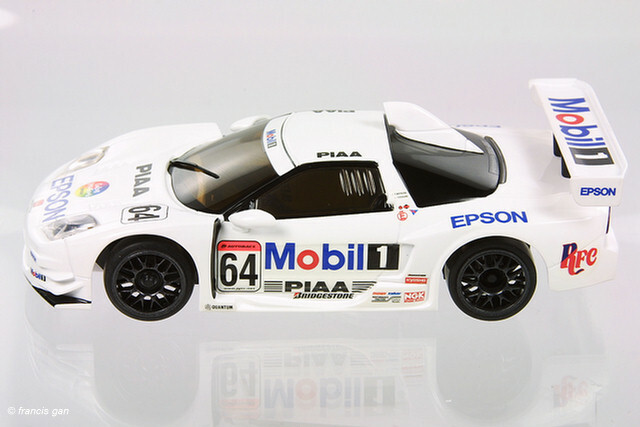 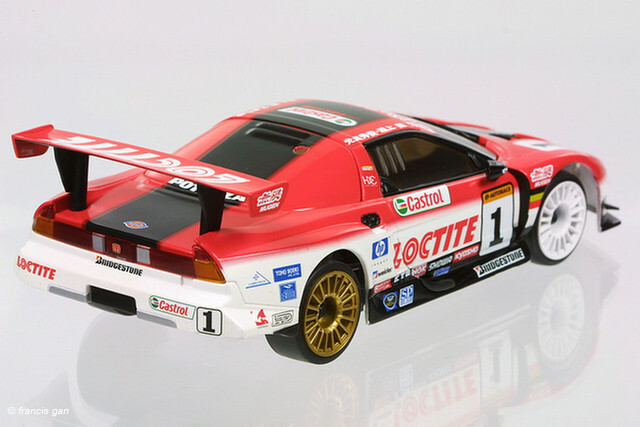 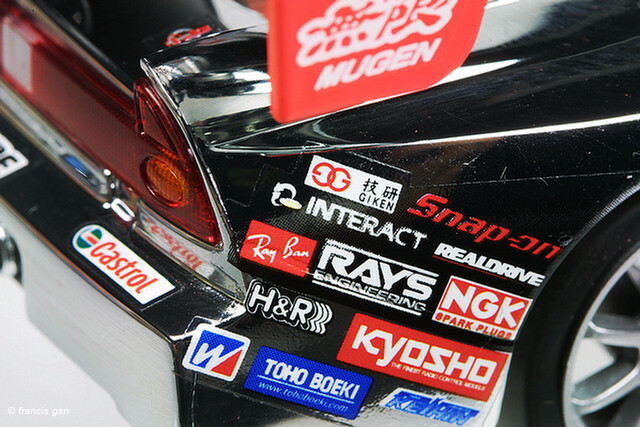 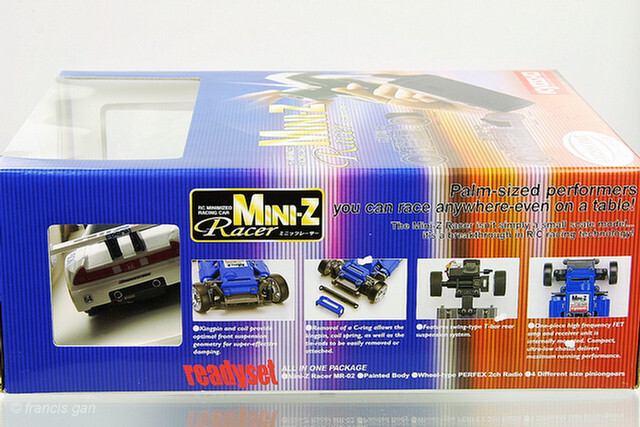 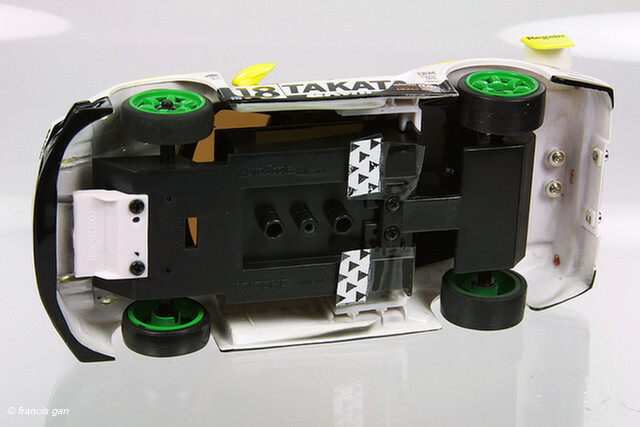 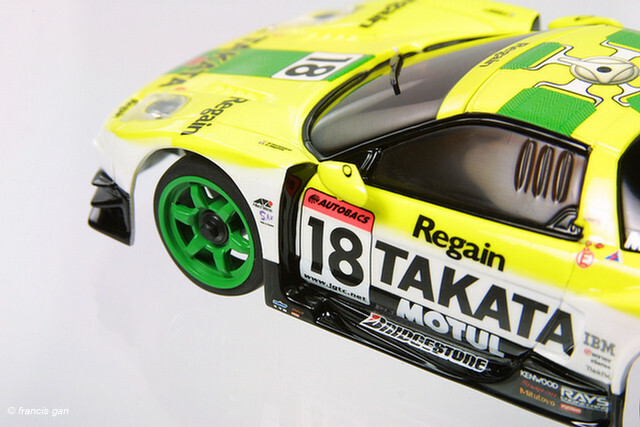 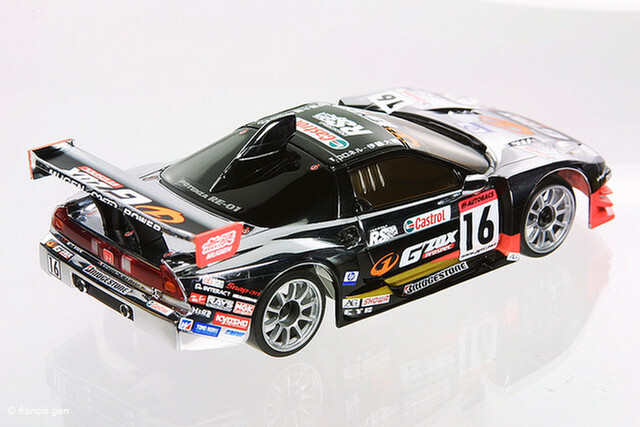 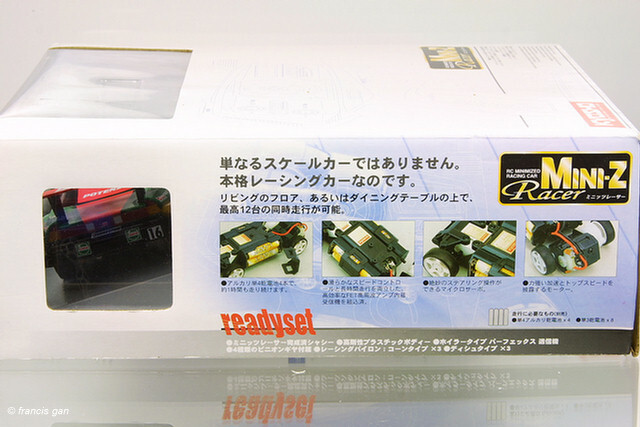 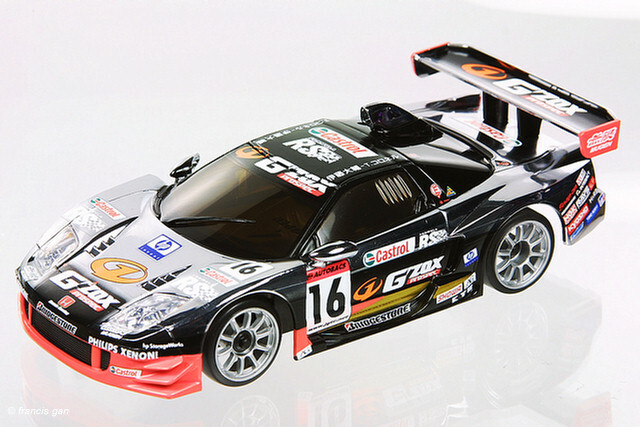 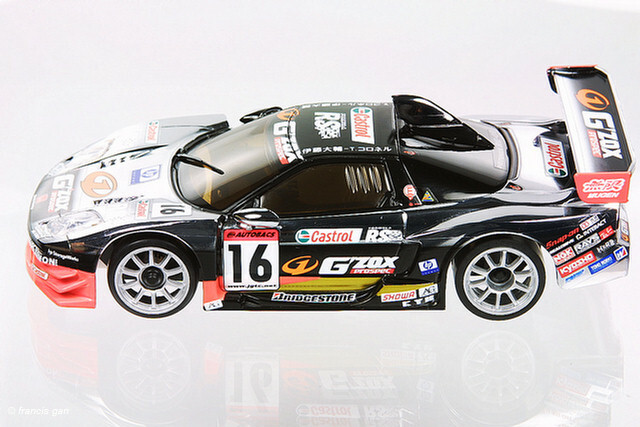 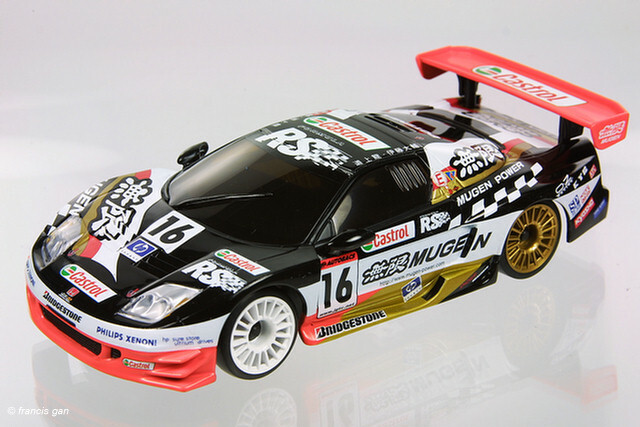 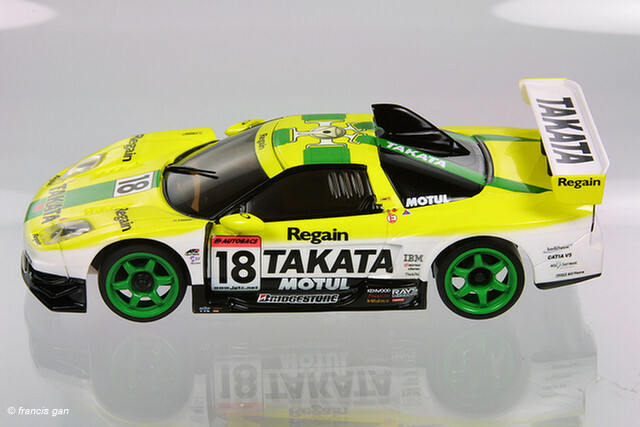 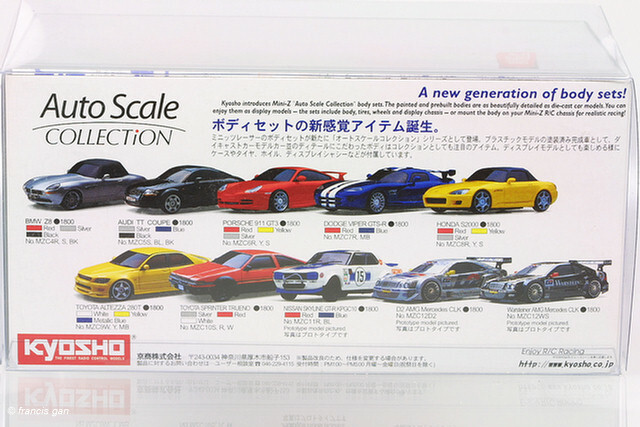 Kyosho's Mini-Z series included a number of JGTC NSX's. 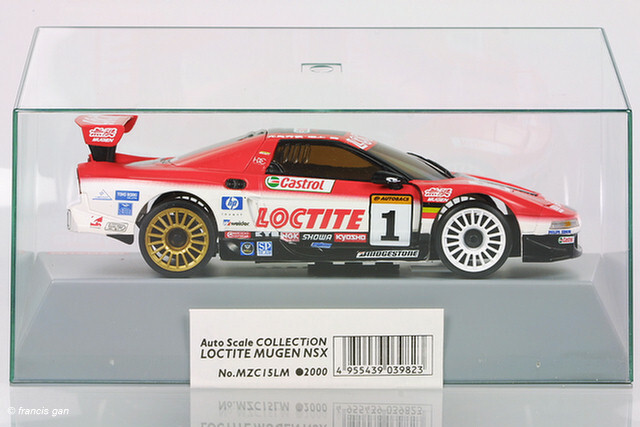 The first series of '98 JGTC NSXs were built on the MR-01 chassis while the '02 JGTC cars were based on the MZ-02 chassis. 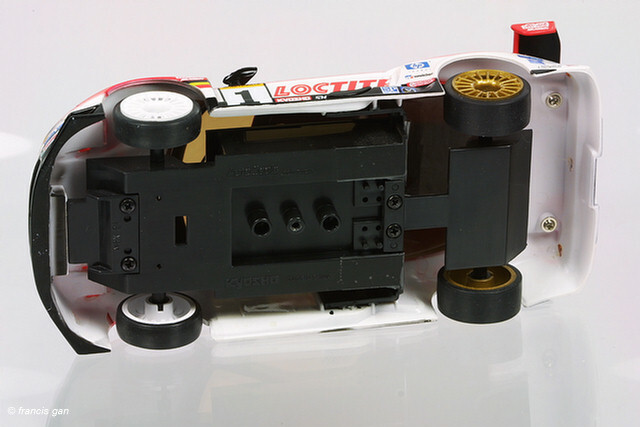 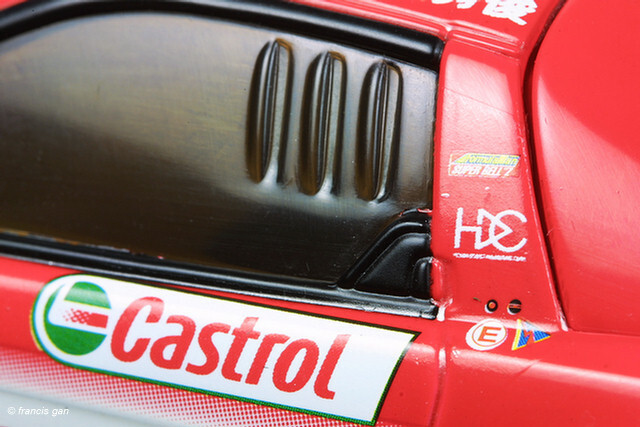 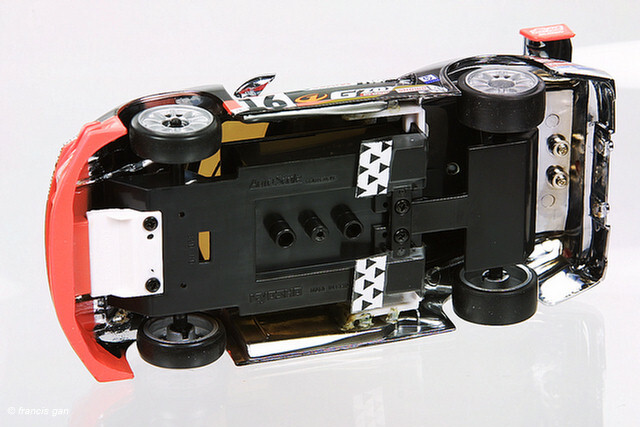 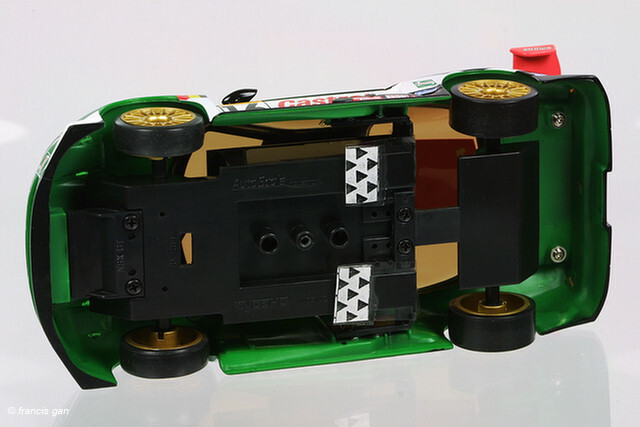 Taking advantage of the amazing detail and accuracy of the model, some of the models came in bodyshell and chassis only display cases without the motor or electronics.